Once again, new results from the National Assessment of Educational Progress (NAEP) show that administering national math and reading assessments every two years is too frequent to be useful. The 2017 NAEP scores in math and reading were largely unchanged from 2015, when those subjects were last tested. While there was a small gain in eighth-grade reading in 2017 — a one-point increase on NAEP’s 500-point scale — it was not significantly different than eighth graders’ performance in 2013. Many acknowledged that NAEP gains have plateaued in recent years after large improvements in earlier decades, and some have even described 2007-2017 as the “lost decade of educational progress.” But this sluggishness also shows that administering NAEP’s math and reading tests (referred to as the “main NAEP”) every two years is not necessary, as it is too little time to meaningfully change trend lines or evaluate the impact of new policies. Instead, the additional funding was used to support other NAGB priorities, namely the shift to digital assessments. Even still, the release of the 2017 data was delayed by six months due to comparability concerns, and some education leaders are disputing the results because their students are not familiar enough with using tablets. That is not to say that digital assessments don’t have benefits. For example, the new NAEP results include time lapse visualizations of students’ progress on certain types of questions. In future iterations of the test, these types of metadata could provide useful information about how various groups of students differ in their test-taking activity. However, these innovative approaches should not come at the expense of other assessments that are useful in the present. Given the concerns some have with the digital transition, this is especially true of the LTT assessment. 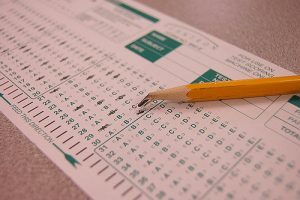 Instead, NAGB should consider administering the main NAEP test less frequently — perhaps only every four years — and use the additional capacity to support other assessment types and subjects. This entry was posted in Accountability, Education Policy, Education Technology, Federal Education Policy, Student Assessment, Student Data and tagged annual testing, assessment innovation, assessments, digital assessments, LTT, NAEP, NAGB, NCES, test quality on April 11, 2018 by Phillip Burgoyne-Allen.